With Glastonbury next weekend, which we’re gutted to be missing out on, festival season is well under way. While the music and atmosphere at festivals is always incredible, there are downsides to not washing and sleeping in a tent for four or five days, so we’ve found the best gadgets to help you battle nature and survive with your dignity still intact. Main image via MojoBaron’s Flickr. Yep, it's a state-of-the-art selfie stick. 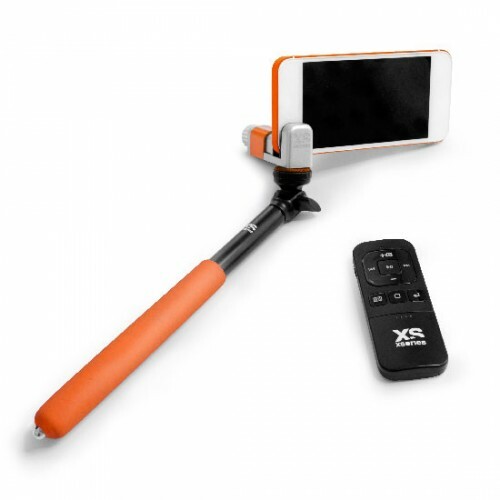 And we know, it seems (and looks) pretty ridiculous at first, but take it to a gig, festival or lazy Sunday in the park "just for a joke" and we guarantee your mobile photography habits will never be the same again! Simply attach your phone and extend the arm up to 93cm, so you'll never have an unflattering big arm selfie again and EVERYONE can squeeze into those group shots, too. It's particularly handy for festivals as you'll be able to get more of the crazy atmosphere in your shots, rather than just your sleep, muddy and drunken smile. Available from xsories for £63.99.